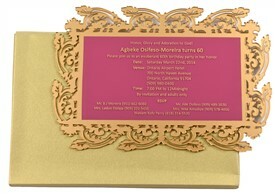 D-5689, Gold Color, Shimmery Finish Paper, Laser Cut Cards, Designer Multifaith Invitations. 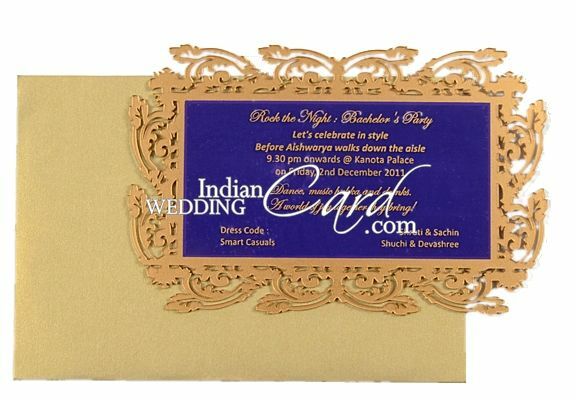 Single sheet Plexi card. 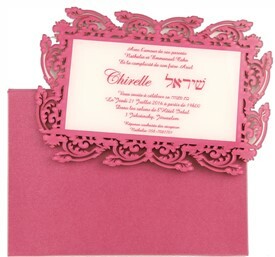 Apt for Save the date and announcement messages. 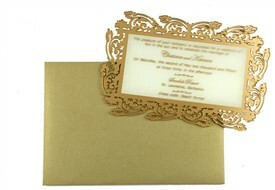 Intricate laser cut border all around forms the main design. Front Purple color is customizable.